SYNERGY PERCUSSION present STEVE REICH AT City Recital Hall Angel Place, Sydney. (Associated Event of the ISCM World New Music days). Steve Reich is internationally, along with Philip Glass, one of the outstanding contemporary composers of today. “Our greatest living composer’’- The New York Times”…the most original musical thinker of our time” – The New Yorker. “There’s just a handful of living composers who can legitimately claim to have altered the direction of musical history and Steve Reich is one of them” – The Guardian. My consciousness of him is fairly recent – the last decade, perhaps. 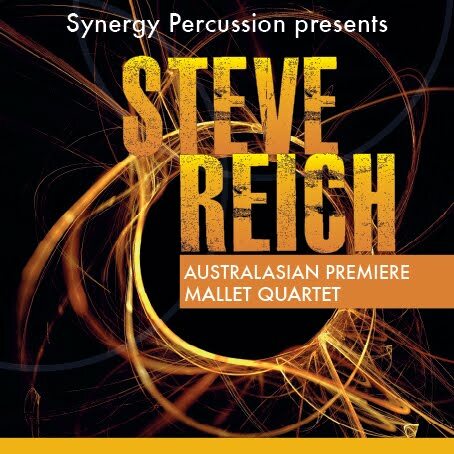 But, I have eagerly explored his work, and from “Come Out” (1966) through to “Different Trains” (1988) and in this concert presented by Synergy Percussion, “Sextet” (1984) and the Australian Premiere of “Mallet Quartet” (2009), have always found it provoking and stimulating. 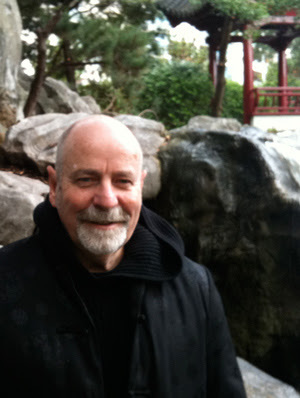 Mr Reich now 74 years old was awarded in 2009 the Pulitzer Prize in Music for his composition “Double Sextet”. Four works of Mr Reich were lovingly and dazzlingly played in this concert, three of them iconic: Drumming Part 1(1971), Electric Guitar (1987), Sextet (1984) and ,as I mentioned one new work Mallet Quartet (2009) - (Synergy being involved with the commissioning of this work), along with Nigel Westlake’s 2004 composition Kalabash. The major bonus for me at this concert, besides the aural rewards, was to watch the performers playing. There was a high level of ‘theatrical-drama’ at the physical demands and expertise in view. SEXTET for instance has six musicians but they are required to play a much larger number of instruments. Watching, for instance, Eugene Ughetti and Alison Pratt sharing different musical instruments was totally fascinating, the interaction and dependency so synchronised and simpatico – even the necessary re-arrangements of the extensive score pages was thrilling to watch. Earlier, the eight musicians standing together along the central spinal arrangement of the drums at the front of the stage in Drumming Part 1 and watching the intricate patterning of the individual contributions was to watch choreography of a highly connected kind. Two, then eight players , then three, then a different combination of three etc finishing in a virtuoso climax of eight. The lighting of the stage and instruments (No credit is given in the program) an accurate and dramatic component contributing to the night. The live performance of Carl Dewhurst of Electric Guitar, with his recording of the other ‘tracks’ of the score that he and Tim Constable (the Artistic leader of Synergy) have laboured over at their Newington studio, here in Sydney, was mesmerizing. The new work Mallet Quartet was quite ecstatic in effect, I enjoyed the middle “tender moments” very much. Sextet was absolutely engrossing in live performance and seemed to be created anew. The recording of the work being, as it should be, superseded by the performance- one’s ears ringing and adjusting viscerally at the silence after the climactic last notes. The intrusion of Nigel Westlake’s Kalabash into the Reich evening was complimentary and complementary to the evening. As you can read, I had a great time. This performance was recorded by ABC Classic FM. I look forward to re-hearing the experience. Catch it. You can hear the Reich concert on New Music Up Late on Saturday 21 May at 10.30pm on ABC Classic FM.